Clear and cosy room, staff behavior is good and helpful. I like the kiosk which is having all the drinks ,snacks. Room has a flat screen tv with plenty of channels, wifi works great, much better than other places. The water in the shower had a very powerful flow and was hot in seconds, this was great. The room was cleaned every day and the towels were also changed. The shower cabin was very clean, shower gel+shampoo were available. Breakfast was ok, a little something for everyone, not the most diverse I've seen but enough to get you started on a day of sightseeing. Clean, quite, good location. Close to tram and bus station. Room price against what you get for it is really great. The location. Is accessible by Metro. The breakfast was fine. The receptionists and the hotel's security were always pleasant and polite and the cleaner came daily to make the bed etc, the room was always left clean with new/fresh towels, soap and emptied bins etc. It’s cheap and close to metro station. The staffs are nice and helpful. Nice setting of the room, make use of every corner. The staff is friendly and polite. Rooms are very clean and comfortable. Breakfast is really good for that price. Good value for the money. Walking distance to several things, including the metro and sacre coeur. Breakfast was definitely worth it too. The convenience vending machines were nice too. Located in the north of Paris, this hotel is a 6-minute drive from the Stade de France stadium and a 10-minute walk from Les Docks de Paris Event Venue. It offers air-conditioned accommodations with a 24-hour reception and private parking on site. Guest rooms have a simple décor and are equipped with a TV with satellite channels and beIN Sports channels. 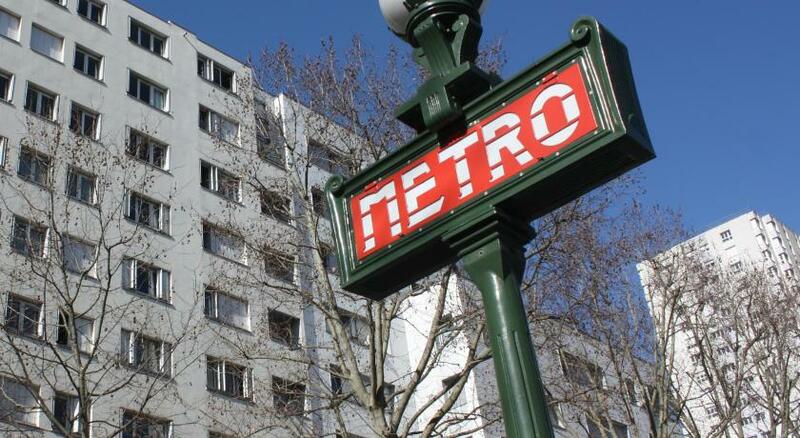 All rooms are serviced by a elevator and free Wi-Fi is available throughout the ibis budget Paris Nord 18ème. Accessible via the A1 motorway, the ibis budget Paris Nord 18ème is a 10-minute drive from the Sacré Coeur and Montmartre. Porte de La Chapelle Metro Station is 1,800 feet away. 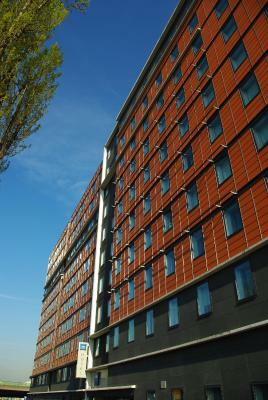 When would you like to stay at ibis budget Paris Nord 18ème? House Rules ibis budget Paris Nord 18ème takes special requests – add in the next step! ibis budget Paris Nord 18ème accepts these cards and reserves the right to temporarily hold an amount prior to arrival. Please note that you must have the credit card used to make the reservation at the time of check in. The surroundings fully occupied by homeless. Feeling little insecured to walk out in the dark. Parking is very expensive. Ok for an ibis budget. The area of Paris where the hotel is situated is very run down, and is full of homeless people that roam the streets begging for money. They are a nuisance because every time you stop the car, they come and knock on the windows. This is not the fault of the hotel, and the staff do their best to clear them away from begging near the hotel entrance, but there is nowhere to walk to from the hotel to get an evening meal, except another hotel which stops serving quite early. The breakfast room was very hectic as it is serve yourself, and there aren't tables and chairs, but stools with long bench tables. There was not a great variety of food, just bread, croissants, cereal and yoghurt. Friendly and helpful staff, particularly as we had a disabled guest with us. Disabled access was on ground floor, so easily accessible, and there was a lift directly to secure underground car park. Dangerous surrounding. Too expensive parking. Horrible...i was with my little baby..3 mounth old..they didn't turn off the AC all night!! !👎👎👎👎 Big rats,a lot of black homeless people.. Location is not good . The hotel staff lady starting from R was very rude towards the customers. Location was really far away from the center. Fairly close to the subway, but to get anywhere you would have to change the subway line. At the time we have arrived there were camps of refugees/homeless all around the hotel, we could see them from our window, so whenever leaving/arriving at the hotel we had to pass among their tents. By the time we checked out and left the hotel some of them have/were moved away. The bathroom did not contain both toilet and shower cabin in the same space.....the toilet was closed off but the shower cabin and the sink were actually in the room, when getting out of the shower you would be exactly next to the bed, you could almost wash your hands in the sink while sitting on the bed....the weirdest layout for a room. Never stayed at a 2 star hotel before . A hairdryer will be a bonus. All ok , it’s a budget hotel .